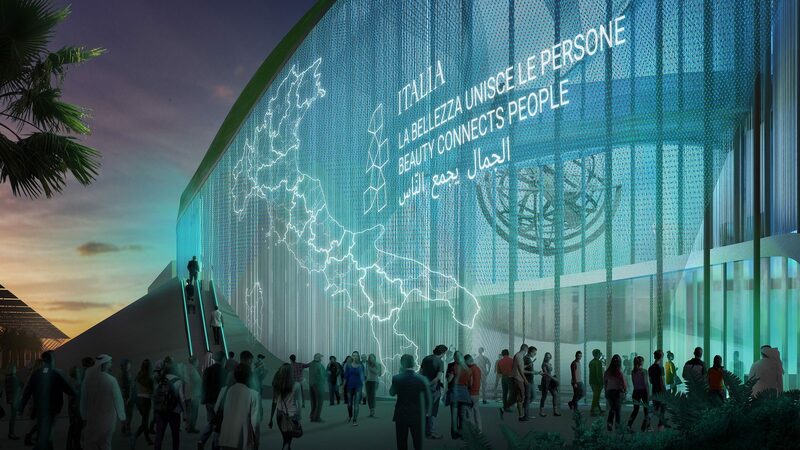 F&M Ingegneria, CRA-Carlo Ratti Associati, Italo Rota and Matteo Gatto win the international design competition for Italy’s Pavilion at Expo Dubai 2020, themed “beauty connects people”. In the architectural project, the hulls of three Italian ships arrived by sea shall be overturned and raised one next to the other on tall pillars, becoming the cover of the Pavilion. 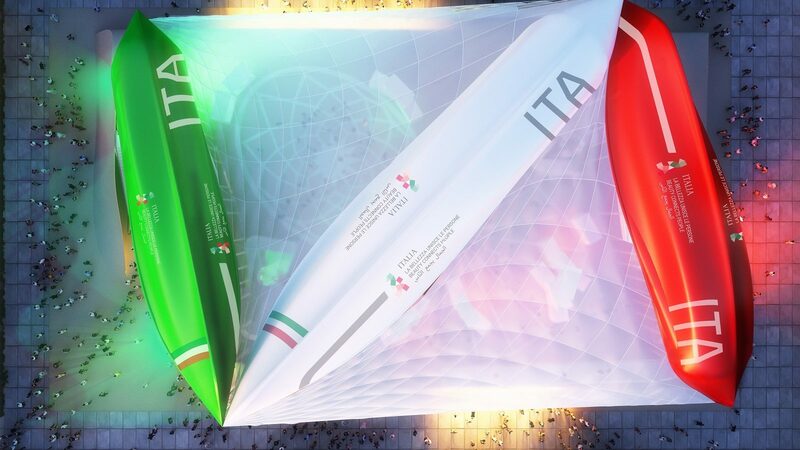 Each of them painted in a different way, the three hulls will appear, seen from above, like three petals composing the colors of the Italian flag. The Pavilion’s architecture celebrates the history of Italian explorers who, throughout the centuries, sailed the seas and reached distant lands, weaving together contacts and relations around the world. The Italian Pavilion tells the story of a journey into the beauty of Italy, constant fruit of contaminations, exchanges and connections of knowledge, ingenuity, talent and art. At the same time, the overturning of the hulls is a choice based on sustainability, that also connects to an ancient tradition of seafaring populations and fishermen from Europe and the world. 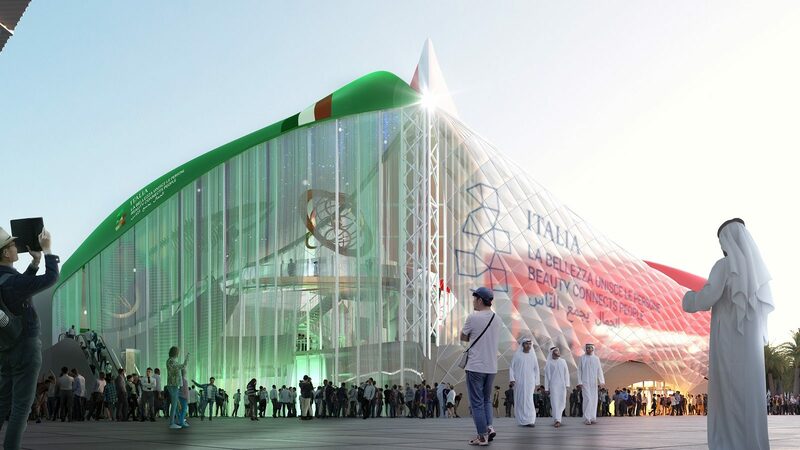 The Italian Pavilion will take up a surface of around 3,500 square meters, will be over 25 meters tall and will be located in an area of high visibility within the site of Expo 2020 Dubai.